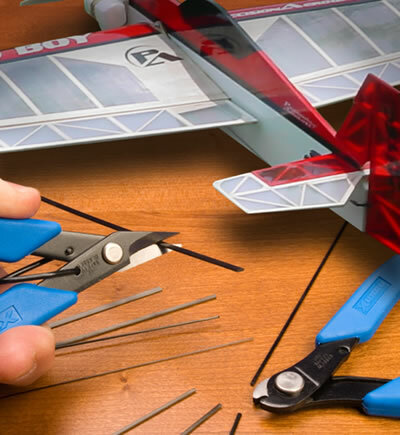 Xuron Corp. is pleased to bring you an assortment of the same high quality Micro-Shear® Flush Cutters and Pliers we have supplied to the civilian and military electronics and aerospace industries for over 40 years. 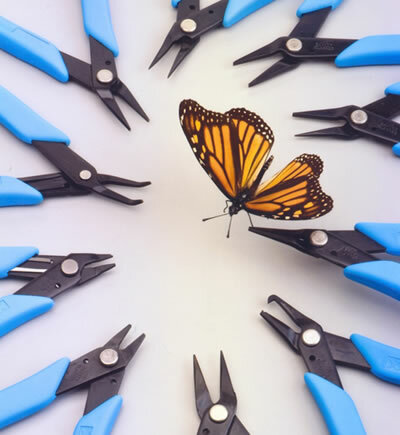 We are confident you will find their quality, performance and value to be of the highest standard. 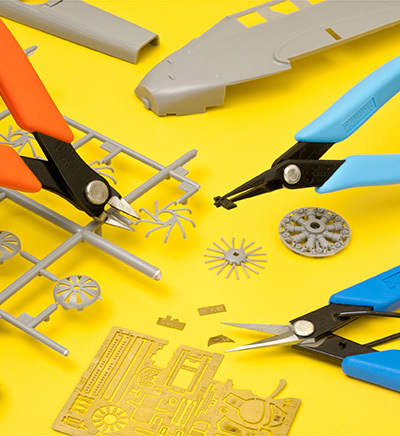 Along with a selection of Micro-Shear® Flush Cutters, we also manufacture a variety of Pliers, Scissors and Specialty Products for consumer applications ranging from model railroading to plastic kit building to jewelry making to home do-it-yourself projects. All Xuron® brand products are manufactured at our factory in Saco, Maine USA. 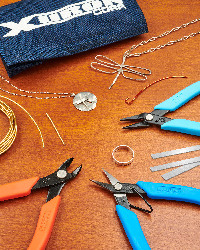 This kit contains a selection of three tools designed to meet the specific needs of metalsmiths; allowing them to comfortably cut, hold and manipulate wire and sheet metal. 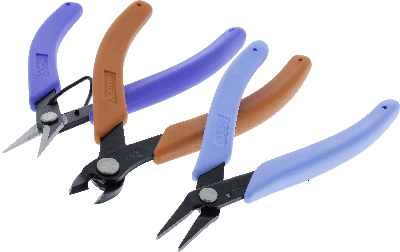 The kit includes the following: 9180NS Metal Shears, 2175 Maxi-Shear™ Flush Cutters, and 485FN Flat Nose Pliers. Tools come packaged in a canvas tool roll to keep them clean and organized. 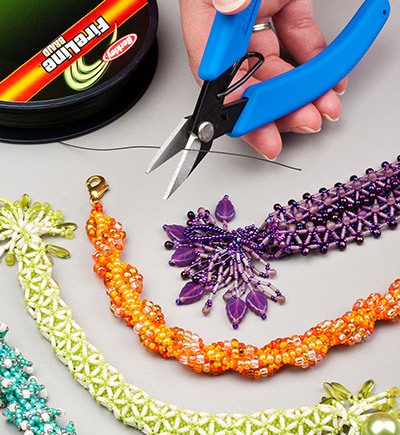 Traditional metal shears are bulky, heavy, have no return spring and are hard to operate. The 9180NS is smaller, light weight, and has a gentle return spring. The 9180NS is great for creating jump rings. The shearing action provides a double flush cut creating clean ring closures. Rated to cut up to a 20 gauge (0.8mm) non-ferrous sheet metal and 16 gauge (1.3mm) soft wire. The 2175 Maxi-Shear™ has been a favorite of metalsmiths for years. Its oval cutting head and larger handle make it the perfect companion for those working with soft wires up to 12 gauge (2mm). 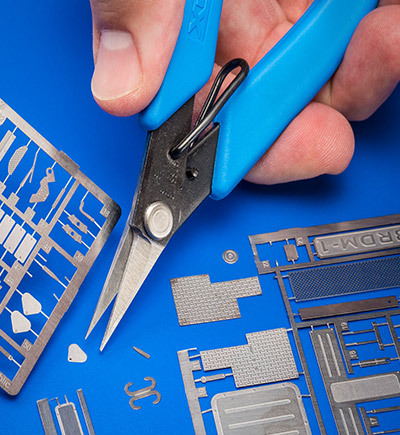 Like all Xuron® cutters, the 2175 offers our Micro-Shear® blade bypass action, resulting in flat clean, flush cuts. The flat smooth surface of the 485FN Flat Nose Pliers allows for greater gripping strength and durability. 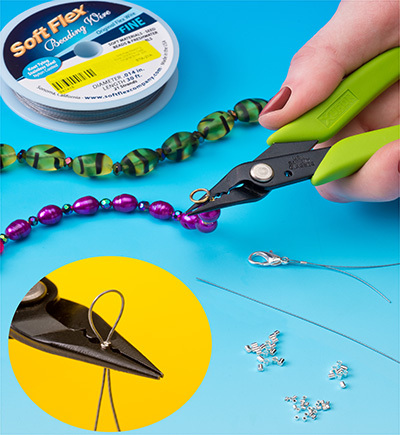 It is ideal for bending and manipulating wire without marring the surface. The 485FN Flat Nose Pliers are slightly narrower than others on the market, which makes them more versatile allowing you to work with a wide variety of material sizes. 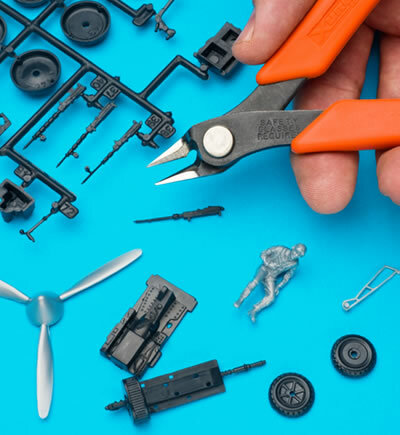 Browse our products by selecting categories in the navigation bar above, or use our Rover Tool Finder to search for products by different criteria.